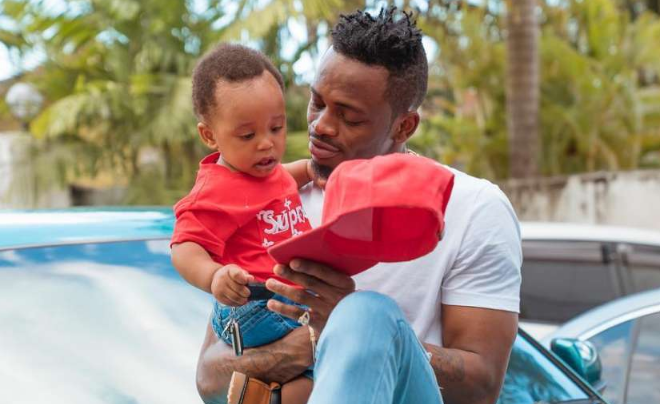 Tanzanian singer Diamond Platnumz has been having a hard time after his mother Bi. Sandrah Dangote, has been sending hints that she’s not ready to accept the singer’s son with Hamisa Mobetto as her grandchild. It seems that has changed now. 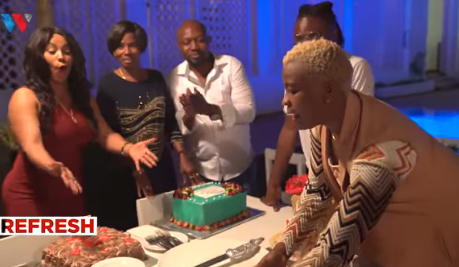 On Monday, Mama Dangote was treated to surprise birthday party that had been organized by her family members at WCB Headquarters. In a video posted by Wasafi TV, rumours that she doesn’t love Hamisa’s son were put to rest after she accepted gifts sent to her by Hamisa and her son Dylan. She also acknowledged Dylan as a grandson cancling doubts that she has rejected him. This comes after Diamond posted on Instagram a birthday message which also asked her to love all his kids equally no matter their mother.